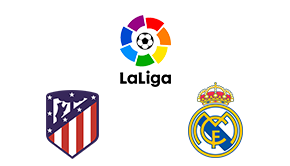 La Liga may not be as competitive or exciting as the Premier League, for example, but it certainly holds the most talent. 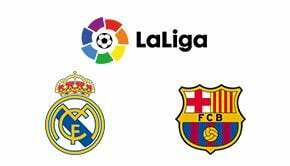 Because of that, all eyes will be on Real Madrid and Barcelona on August 12th as they begin what is always an enduring campaign to see who will be crowned kings of Spain. Zidane and his men will be, quite rightly, optimistic ahead of the new season. After winning both the league title and the Champions League last season, Madrid are clearly the best team in Europe at the moment. Having just beat Manchester United in the UEFA Super Cup, watching Barcelona lose Neymar to PSG and managing to maintain the core members of their team, Madrid will be expecting another season full of accolades. They start their campaign away to Deportivo La Coruna, who finished 16th in the table last year. Despite the away disadvantage, it’s fair to say you can expect the three points to go to the men in white. On the other hand, you have Barcelona. After the departure of Neymar, the Catalan team may struggle to match the standards set by Real should they continue their form from last season. However, this is the first year in many years that Barcelona are not favourites for the title – could this fare well in their favour? Valverde’s men also start their campaign against a team towards the bottom of the table – Real Betis. Again, this is almost a certain victory… especially with home advantage. Newcomers to the league Levante, Girona and Getafe all have some of the toughest opponents they could face outside of the big two. Levante host Villarreal who finished 5th in the table last season, while Getafe travel to Athletic Bilbao, who finished 7th last season. 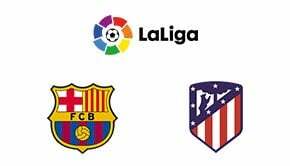 Girona, who had the toughest luck, will host Atletico Madrid.